We would not trust our accountant to explain our blood test results to us, nor would we trust our dentist to complete and file our income tax returns. So how could we allow the managers and caretakers of our mosques to navigate us through complex world of successfully establishing our Canadian identity as a community. Let’s face it, as a community we have successfully failed to establish a meaningful Canadian identity. We have failed those who came before us. We have failed each other. Finally, we have failed our children. It is mind boggling for most of our community members in trying to make sense, wondering that despite Islam not only as the as the second largest faith group of Canada, collectively, we are also the most educated minority group in this country. Yet, we are lagging other minority groups who lack numbers, and acumen, especially in British Columbia, in just about every important sphere of power and influence, may it be politics, legal justice system, mainstream media, among many others. We have yet to elect an MP, MLA, or even a City Mayors. We have yet to have a Provincial or Supreme Court judge appointed from the Muslim community. We have not even managed to get a Muslim journalist anchoring an evening news cast on a mainstream media. We can pin our current state of despair to only one thing – Lack of Leadership! A leadership that not only lacks skills, rather lacks vision in leading the community into 21st century with a successful Canadian identity. Over the past six decades since Muslims initially started migrating to Canada we’ve witness repeatedly a community caught between trying to establish their Canadian identity and a community trying to safeguard its religious beliefs. Unfortunately, the latter took precedence over all other. So much so, that no one made the effort to even highlight the importance of establishing our Canadian identity. All efforts, and all resources were directed at safeguarding religious and cultural identity. Hence, a small group of individuals stepped forward to do the task, may Allah bless them all. The rest hibernated back to their own comfort zones, feeling satisfied, that they’ve done their part by contributing financially, and did not wanted to be further bothered. Ultimately, the people given the task to safeguard religious and cultural identities eventually by default became the public face – “leaders” – to represent the community at large for every sphere of the society. Unfortunately, this political apathy has costed us dearly, as individuals, as well as a community, and if we do not wake up and smell the coco beans now, the results would be detrimental, and all past efforts made to preserve the cultural and religious identities would be in vain. This is not in any way a criticism of the BCMA or other Muslim organizations serving the Muslim community. It is rather a critical feedback for all those at the helm of these organizations, as well as an appeal to community members at large to act responsibly – do your part – by engaging in community efforts in establishing our Canadian identity as a community for the betterment of our children. Over the years those tasked with safeguarding our religious identity – many of whom have passed away, and many new faces have stepped forward. All of them with good intentions. However, obviously it is quite evident they lack the skill sets to take us to the next level. In fact, many have started to point out by describing certain actions a reason they opted to stay out. 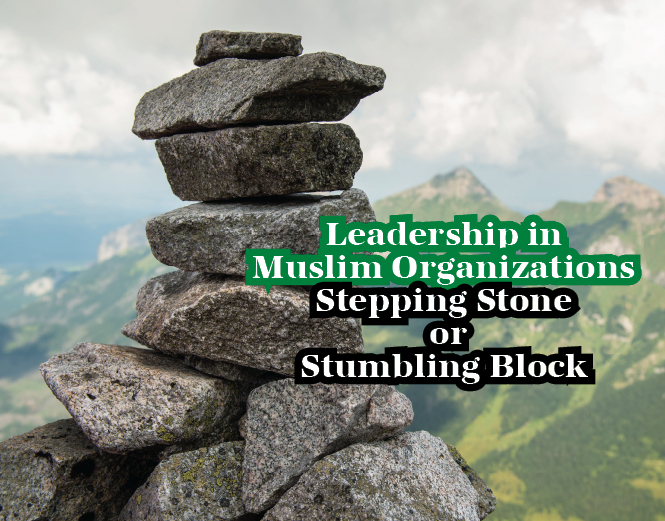 We hope to have the Muslim organizations, especially those at the helm of the BCMA – “The Executives” – to realize that their actions, although with good intentions, and possibly, based on much thought-out wisdom, are preventing good individuals, and especially our youth from becoming involved. Without the injection of new blood and new ideas we are signing our leading organization’s death certificate. For instance, last month there was a special general meeting held at the Surrey Mosque, requiring seventy-five percent approval vote on much needed constitutional amendments. Unfortunately, it did not pass. One of the member attending the meeting was in favour of the amendments. However, he was not allowed to vote, because there was no record of his membership with the association. This despite the fact he has previously voted in election in 2017 with his receipt of membership renewal. Another example, more recently, BCMA has made an internal change to its membership renewal process, shifting the responsibility from the membership committee to the executives. Now these procedural changes may be well-intended and carried out based on some wisdom. However, this is not how the public perceives it. Public views it as an encroachment of their rights and selected few trying to maintain their grip on the association, weeding those who may be ones not supporting their views. Thus, limiting or curbing their participation in democratic process. AlAmeen Post did try to obtain BCMA’s views on this matter and did not receive a reply. The silent majority that is sitting on the sidelines are waiting for miracles to happen. The hands of the executives are tied by some olds boys club whose only job is to resist any change that will be beneficial to the community. The inaction of the Silent majority is allowing the most cherished organization in B.C. to fade away from its glory and shift away in the hands of those members who have now become roadblocks to everything that is good. BCMA needs to reposition itself as a facilitator of our community’s advancement, involvement, and engagement on a wider level, and not as an agitator by implementing draconian and illogical policies forcing others to question the executives and its directors’ motives.